Many snow plow companies switch to landscape work during the spring summer and fall. They use the shoulder months (Oct-Nov, Mar-April) for vacation time, equipment maintenance and lining up new contracts for the coming season. This can be an opportunity for consumers to save some money if you use the same snow plow company for your landscape work and snow clearing. Landscaping can include a lot of different jobs. Everything from cutting the lawn, to trimming shrubs to actually redoing complete gardens. Using the same company might be an opportunity to reduce your overall cost. Also have someone you trust do the work. If you find that you have good service from one company why go to another. Stick with the company that meets your requirements and deal with the same people for all of the snow removal you need. 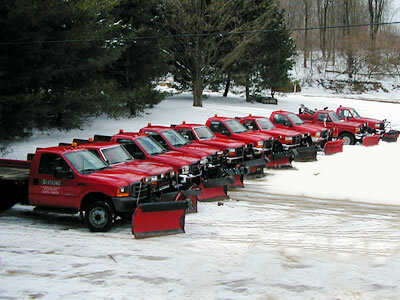 Most snow plow company’s will use the same people all year round. They do this to maintain stability and to avoid having to hire and train new staff every year. If you are impressed with the people who are clearing the snow off your drive way, and you like the company, you may want to rehire them for the summer months. Basic things such as cutting the lawn, raking leaves, trimming shrubs and planting new shrubs etc are among the jobs a landscaping company will do. If you hire them to cut and trim the lawn and then add a small job here and there it may work for you. Especially if you pay in cash and the workers you are familiar with do the work for you. Even though you are using the same team of people, it is still important to specify exactly the services that you need delivered and have it in writing. This is the professional way to do business and avoids any conflict that might crop up later especially if you are relying on a verbal agreement instead of something that is written down on paper. Contracts can be written and they can be modified if needed. All it takes is people talking to each other and for both parties to agree on the terms. Another way to save some money is to negotiate your contract early in the season. The company knows that they have locked you in as a customer. They will have the cash you pay them to work with well in advance of the season. We suggest that customers only pay 10% initially and half of the remaining fee when the season begins. You can negotiate these payments with the final one coming due halfway through the season. This type of contract protects the home owner from losing all of their money if the contractor ends up bankrupt etc. Never pay 100% of the contract up front for any work that you are having done. In fact for many contracts we hold back 10% after the work is completed for 30 days. This gives us time to make sure that the work is fully complete and meets the quality levels that we are looking for. It sends a message to the contractor that reinforces that they need to do a super job. If there are issues that they do not deal with, they risk losing 10% off the top of their profit. If you decide to take this approach it should be part of the contract. It must be well understood by both parties prior to the work beginning. If you are in need of plowing services it probably means that you have a driveway like the one in this picture shown on the left. It is much too long for a regular snow blower. It is probably too expensive to buy your own truck with a front end blade. Or perhaps a tractor with an attached snow blower. The next best thing is to hire a company that provides plowing services throughout the winter. A company that can be depended upon to clear your driveway after each snowfall. As well as each time the city snow plow clears the road. They tend to leave a large amount of snow at the end your driveway blocking your way. Sometimes the amount of snow left at the end of your driveway by the city snow plow can be so large that you cannot get your car through it. 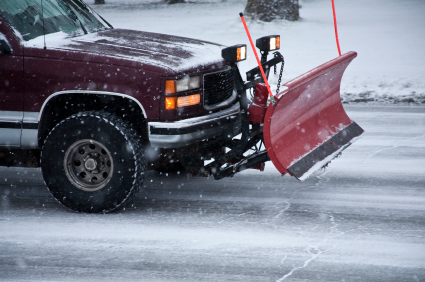 Make sure that you have a plowing services company that will be around promptly to clear your driveway. When you hire a company to keep your long driveway clear of snow, there are a number of contract related issues to keep in mind aside from the price. The price is important. 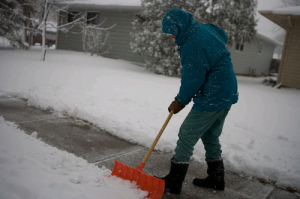 But so are the details of the contract that cover things such as how often they will clear your driveway. How much snow needs to fall before they show up. Also whether they will come back to clear the entrance after the city snow plow has passed by. Some companies will arrange to follow the city snow plow operators to clear the snow and avoid having to come back a second time to clear snow from the end of the driveway. This can also mean that your driveway is not cleared until later in the day when the city snow plow operator comes by. These items should be clearly stated in the contract and if you are not satisfied with the stated level of service the time to negotiate them is before you sign the contract and especially before you pay any money to the snow plow company. Most are quite accommodating, but never the less you need to clarify these details before you sign. Consumers should also consider asking for and following up with recommendations from other customers. These might be customers provided by the company. They might be neighbors who use a company and are satisfied with their service. This can be an excellent way to make sure that you are getting the best service. Also the best deal for your money. Either way, examine the details. Negotiate the details before you sign and before you pay any money. Once you have paid them and once you have signed the contract, it is too late to negotiate any details. We know consumers who have been forced to renegotiate their contracts because they wanted added services. They ended up paying more money for the service they are receiving. They might have saved themselves some funds if they had fully negotiated all services at the time of the initial negotiation. Snow plow service pricing – Most people appear to pay somewhere around $300 to $400 for the season to have their driveways clear of snow. This level of snow plow service pricing is well within many consumers budgets. It does not represent a large sum of money for them. The pricing is well within the price of a new snow blower. But should you buy a snow blower or contract a snow plow service? For example a decent snow blower will cost you from $700 to $1500. The price depends on power and width of the snow blower. Of course there are even more expensive units. However for the average consumer with a regular driveway and average amount of snow, this is what most people will pay for an adequate snow blower. There is the initial upfront cost. There is the annual maintenance that is typically needed. This involves changing the oil, updating the spark plug, making sure there is enough air in the tires etc. All of these things are easy to do by the home owner. There is little cost for those people who do it themselves. As a result, someone who is comparing a snow blower to the cost of hiring someone to clear the driveway they can consider a 3 to 5 year payback on the snow blower. This is pretty reasonable. Most people will be willing to pay $300 to $400 for someone to clear their driveway of snow. Knowing that they can do this over 5 years and still pay about the same as a snow blower. This is based on the initial up front cost of the snow blower. Other than the maintenance we just discussed, a decent snow blower if it is properly looked after, it should not need major repairs during the initial five years. 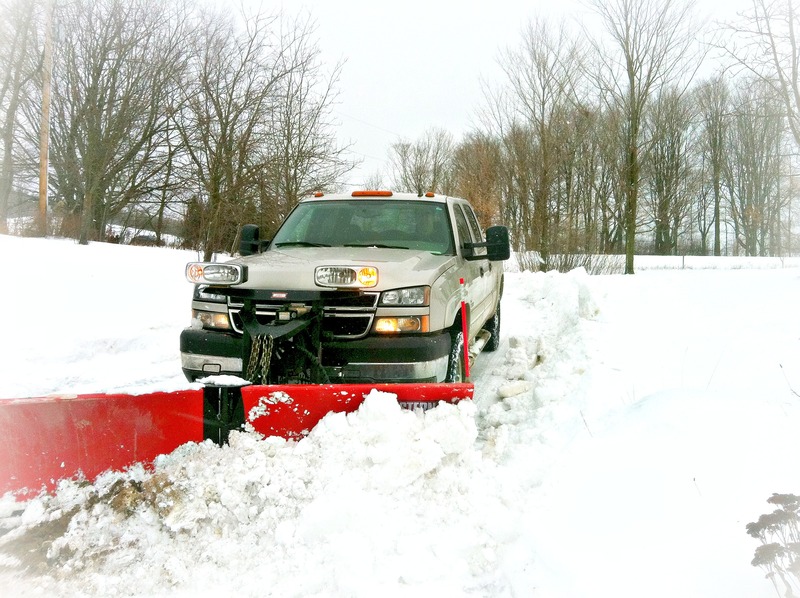 Of course snow plow service pricing can vary a great deal. In other words it depends on the size of the driveway, the number of times on average your driveway will need to be cleared. Also whether you want them to clear snow from your front steps or walkways around the house. Negotiate for the best price. Decide how much you want to do yourself in terms of the amount of personal snow clearing work that you are willing to take on. One of our neighbors is not handy what so ever and does not want to be bothered with having to start a snow blower and clear snow. His wife will shovel snow but he will not. As a result they have a snow plow service for the winter and they are quite satisfied. Their motivation is not money, rather it is the avoidance of having to deal with a loud, messy machine in terms of maintenance. Money is no object for them. This can easily be the decision for many people. However if money is a concern and if it is in short supply, you probably will be shoveling snow. Or perhaps buying a used snow blower to clear the snow from your driveway. Compared to paying snow plow service pricing levels, a used snow blower is a much better solution in terms of overall cost. If you can fix your own, then you are much further ahead. Snow plowing companies come in all sizes and shapes. 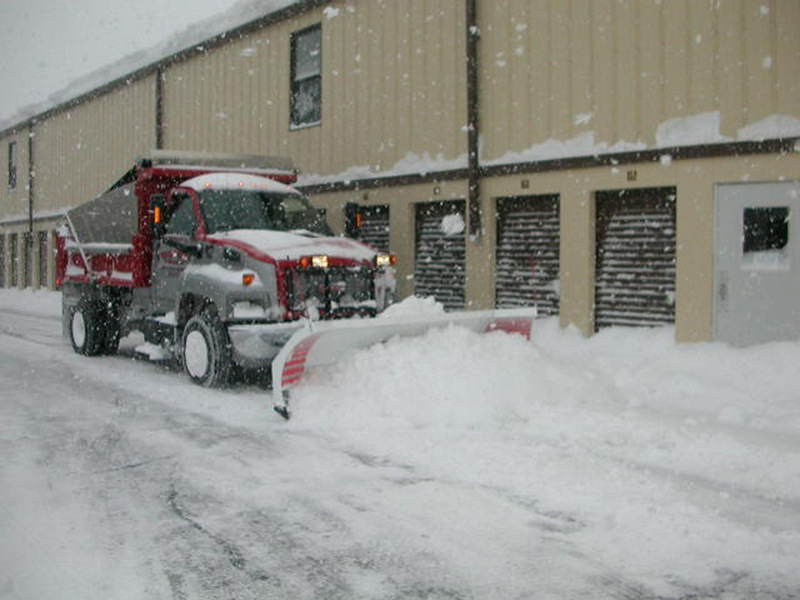 By this we mean that some are large organizations that provide snow clearing services all over the city that you live in while others might be small one person operations that only clear snow on the city block that you live on. One example that we know of was a gentleman who cleared snow for several of his neighbors every day during the winter. He was happy to do this for a reasonable price. Since he did not travel during the winter and was looking for something to do. He made enough money to pay for his snow blower. He replaced the one that he had for many years. This gentleman enjoyed getting outside and he enjoys the fresh air. Some people will use a snow blower that is off loaded from a small truck as they travel from customer to customer. Their cost is low, they have minimal equipment and while they will have more customers than your neighbor, they will still be a small one man operation as a rule. Some companies use a truck with a blade on the front. You probably have seen them rushing around from house to house, driving into the driveway, dropping the blade and pulling the snow down the driveway. Once they have the snow off the driveway, they push the snow up into large snow banks that can get quite high on your lawn. Other snow plowing companies use a tractor with a combination blade and snow blower. these machines often do the best job. The snow can be directed almost wherever it is needed and there is no huge snow bank on your front lawn. Both companies using this equipment can also have Teflon coated blades which will not mark your driveway. Anyone with interlocking brick on their driveways will appreciate this extra feature. There are front mounted and rear mounted snow blowers on tractors. Both types work equally well. Front mounted snow blowers on tractors will also have a blade on the back to scrape snow and ice off the driveway down to the pavement. With all of this equipment how does a consumer decide which company to choose from and what are some of the criteria? Aside from price, how often will they clear the snow from your driveway? 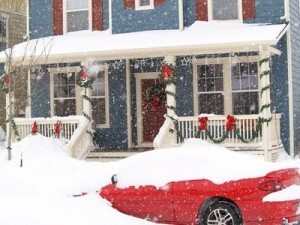 How much snow must fall before they will come and clear your driveway? Do they use Teflon coated blades to protect your driveway? Do they return after the street snow plow operators have passed and left a large amount of snow in your driveway? All of the above types of equipment work equally well. It really depends on the commitment and care of the operator regarding the quality of the job. Some operators do a better job than others and references are probably better than others to weed out the bad operators. If this does happen to you, make sure you let the operator know as well as the owner of the company. The last thing snow plowing companies want is to get a bad reputation because one of their operators is not doing a good job! They understand that in addition to neighbors talking, the internet is another powerful tool to leave comments and influence someones company reputation. Check for comments before you hire someone to make sure that the provide great service to all of their customers. 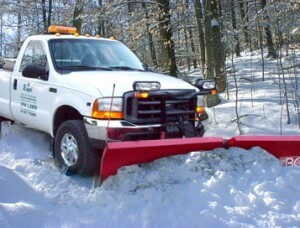 Many consumers arrange for snow plow service every year. This usually includes just clearing their driveways of snow and perhaps the steps leading to their front door. The operator will use a snow plow or blade on the front of a truck. They could also use a tractor to remove the snow from their driveway. They will drag the snow down the driveway. Then push it up onto the lawn as a means of clearing it. The excess snow cannot be left on the street. It cannot be left on the driveway so the only place left is to push it onto the front lawn. During this process the blade of the snow plow sometimes may dig into the lawn a bit. It will take some of the sod along with it. This leaves and unsightly mess to clean up in the spring for the home owner. One alternative that many snow plow operators will use is that they will essentially extend the length of the driveway into the road a bit and use this space to store the extra snow. This will only work for some customers depending on the space on the road. Also how far back the city snow plow pushes the snow back off the road. Another approach is to ask the snow plow company you deal with to use a snow blower mounted on the front of a truck or a tractor. This approach will ensure that all of the snow is blown well away and not create large snow banks. Finally when the banks get too high, operators may have to arrange for the snow to be removed and trucked away to a snow dump. This is an expensive proposition and homeowners must be careful just who pays for this service and how it is reflected in your contract. Regardless of which approach is used, the operator should mark the end of your driveway and also the sides of your driveway with markers to indicate where the edges are. This will help to ensure that the amount of damage is kept to a minimum. In the writers case we have over 10 foot high snow banks in front of our home. The city pushes snow off the street and also the snow plow service that we hired. Fortunately for us the city also comes along halfway through the season and trucks away most of the snow. Both neighbors beside us as well as across the street have this problem. We are certainly very happy when the city clears the banks of snow away. This avoids any potential flood in the spring when drains are plugged and the snow is melting with nowhere to go for the water. The other reason we are so happy about this is that a narrow street is actually a fire hazard. Since the firetrucks may not be able to get down the street if there is an emergency of some kind. Even parked cars on a narrow street can make it very difficult for these emergency vehicles to move down the street and do their job. If you are hiring a snow plow service, always obtain a contract that accurately spells out the service you will receive. How often snow will be cleared from your driveway and when it will be cleared. This is the best approach to protect yourself and get the service that you expected. 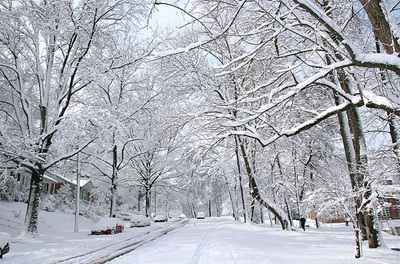 It is still not too late in the season to hire a snow plowing company to clear your driveway. Although it is already January, snow plow companies are still taking contracts for the season. Most will prorate their seasonal fees to reduce their charges for the year. You may still pay a little more on a monthly basis compared to signing up for the full season. However you will save money overall by waiting until January to sign a contract. Of course the risk was that you had to shovel snow a couple of times during December. This alone convinced you more than ever that you should have hired a snow plowing contractor back in November! The winter of 2014 has been particularly difficult for urban homeowners between the amount of snow and the very cold weather. Snow plowing companies have been kept very busy this year and you may have trouble finding one this late in the season who is able to take on more clients. They also may charge a bit more as well if they are really busy and just do not need the extra business. A snow plow company offers various services. Including clearing snow from your driveway, clearing the sidewalk up to your home and also the steps to your front door. For the full service treatment, expect to pay a little more than you would just for the driveway. There is also the timing of the snow clearance that should be discussed as part of your contract. If you need your driveway clear before you go to work and at night, include this in the contract. The same should apply to clearing whatever snow the city snow plow leaves in your driveway as well. They seem to fill our driveways at the most inopportune times just when we need to get out of our driveways or are coming home from work. From a snow plow company’s perspective, they really would prefer to follow the city snow plow. They want to avoid making several trips. This way they can clear your driveway of snow. At the same time clear whatever snow that the city snow plow leaves in your driveway. The timing may be less than convenient for you. However consider that even if your driveway is clear, if the street is still full of snow you will still have to navigate down a snow filled street and risk getting stuck! The other factor to keep in mind is how much snow will need to fall before your snow plowing company will clear your driveway. Two inches of snow fall can be quite a bit of snow. If that is the limit of what must fall before they will clear your driveway you may be a little frustrated. Consider all contracts carefully. If it is not written down and signed by both parties, then there is little chance of the service being delivered exactly the way you want. There is little chance of enforcing it either. If I had not seen the picture I am not sure that I would have believe this to be possible. Using jet engines to clear snow from runways and other areas that need not only the snow removed, but everything melted as well. This particular picture tops the list of extreme snow clearing operations. 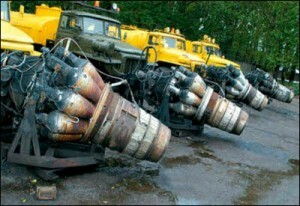 Apparently this picture was taken in Russia where they have mounted Kiimov VK-1 jet engines on the front of trucks. These engines are normally mounted on Mig 15’s. 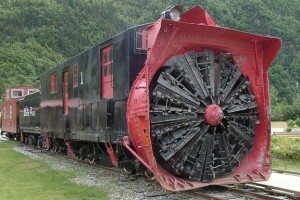 This is one of the most unusual kind of snow plows that the writers have ever seen! Although these extreme snow plows with jet engines, probably would be effective, there would be some practical issues that might be problematic with this configuration. The snow would be blown into the air and we suspect that it would be very difficult to see in these conditions, especially if you happen to be blowing snow into the wind. It would be a total white out under this condition. Also what happens to the snow when it melts? The exhaust from the jet engines will be very hot and will melt a lot of the snow. The water will puddle in places and will refreeze as soon as the jet engines are moved onto another area. This would make for very icy conditions after these trucks have passed. Maybe it is not a big issue, however if I was driving on a road after these guys had been in operation, I would be very careful indeed. The amount of fuel that would be used to run these engines would be prohibitively expensive. It costs a great deal to run airplanes with jet engines and this would be the same. I am not sure that it would be cost effective to run these jet engines as extreme snow plows for very long. Another type of extreme snow plow that is actually much more effective and common are the snow plow trains shown in this picture. 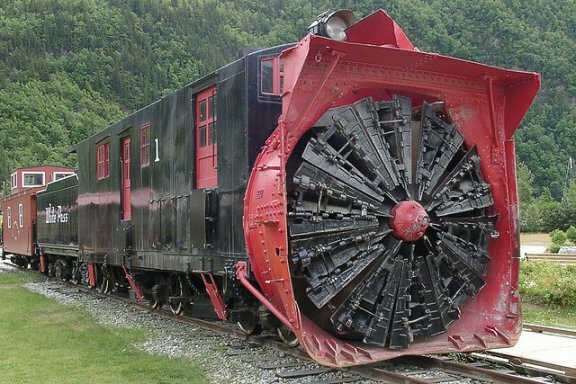 These trains should probably be called extreme snow blowing instead of extreme snow plowing. However when you consider the size of this machine and the power behind it we think that it qualifies for an extreme snow plow as well. These machines are typically used in the mountains were they get a lot of snow. Also where there are avalanches from time to time and the snow must be cleared from the tracks. This particular extreme snow plow has two engines. The front engine mounted with this snow blower is the size of a small house on the front. There is another car behind it, probably for supplies and carrying extra fuel. The last car is something you do not see much of these days. It follows up the rear of the snow plow train. It provides a place for the crew to relax in when they need to take a break from work. They could be out on the tracks for days clearing snow and cannot easily get back to an urban setting for a day or evening off. We suspect that there are bunks, a small kitchen and a dining area in the caboose for the crew during down time from snow blowing. These are two examples of extreme snow plowing services. The first one probably is effective but not very economical or friendly to the earth. The second is a more practical design and likely very effective as well as necessary. If you have more and have pictures, please send them along.